An impact driver is that type of tool most think they’ll never need, but can’t understand how they lived their lives without one, once they take one home for the very first time. 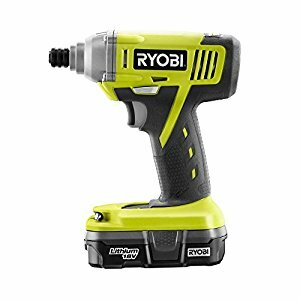 If you landed on this page searching for the best impact driver, look no further… If you’re looking for cheap impact driver, hit the back button now because you’re not going to find garbage tools on this site. Why? Because a cheap tool is exactly what it is, CHEAP! Here is the Dewalt DCK240C2 20v Lithium Drill Driver/Impact Combo Kit designed to fit in tight areas with a lot of power without the user fatigue as it is lightweight weighing just 2.8 pounds. It comes with a one-handed loading 1/4″ hex chuck that accepts 1″ bit tips. The impact driver also features a 3 LED light ring with a 20-second delay for visibility without shadows. We like the belt hook that makes the cordless drill even MORE portable and convenient. Q – Can the impact wrench remove off lug nuts? A – It can do 90-foot pounds of torque which tell me it won’t have an issue with removing lug nuts off of many cars. Q – Is the impact kit have a separate key/chuck or is it chuckless? A – The Drill is a chuckless, and the Drill/Driver has a chuckless bit holding system. Here is the Makita 18-volt LXT Lithium-Ion Cordless Impact Driver Kit that delivers speed and power while being presented in a compact size for an extensive range of fastening and driving tasks without creating user fatigue weighing 3.3 lbs (with battery). We like how the driver is small with a length of 5-7/16″ and with a rubberized soft grip allowing us to work all day without feeling the aftermath of a long shift. No need to worry about dark spaces as this beast includes a built-in LED light, so it works killer in dark spaces and tighter quarters. Q – Can this until remove and replace lug nuts on a car? A – The impact driver has plenty of toques to handle the job. However, I’d stick with air power tools for cars or use an 18-volt LXT Lithium-Ion 1/2″ Cordless High Torque Impact Wrench. 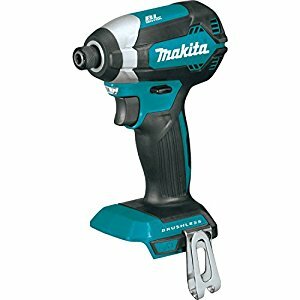 Q – Could I use 1/4″ hex head drill bits on this impact driver? Q – Is it a brushless motor? Q – Does it include a battery and charger? A – Yes both are included. 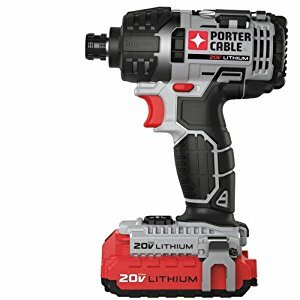 Here are the Porter-Cable PCCK602L2 20-Volt Max Lithium 2 Tool Combo Kit that includes a powerhouse of tools such as drill/driver and an impact driver packed with the much-needed accessories to handle the toughest wood and metal drilling along with many fastening applications. We like how both tools include fuel gauges to showcasing the amount of charge left in the batteries. Q – Is the speed adjustable? A – Yes it is a variable speed. Q – Will the charger stop charging once it reaches a full charge? A – It does turn off the charging cycle when fully charged to prevent overcharging as I think it has the circuitry that prevents it. Q – Do both tools have a LED light or one? A – They each have one LED light. 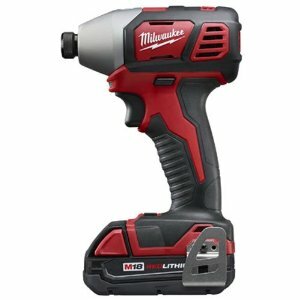 Here is the Milwaukee 2753-20 M18 Fuel 1/4 Hex Imp Driver tool that has 1800 in. lbs. of fastening torque and drives screws faster with greater control over power and speed due to its exclusive 4-mode drive control. The POWERSTATE brushless motor can offer up to 0-3000 RPM with consistent power output to drive the screws home faster. We dig the REDLINK PLUS intelligence that prevents damage to the driver tool caused by overheating or overloading. Q – Is the battery or charger included? A – No. It’s a bare tool. Q – Does it have variable speed? Q – Can I use the battery from my 1/2 fuel drive impact? A – If it shows “fuel is powered by the Milwaukee Red Lithium Batteries” then YES you can. Q – Is the tool brushless? A – Yes, it is brushless. 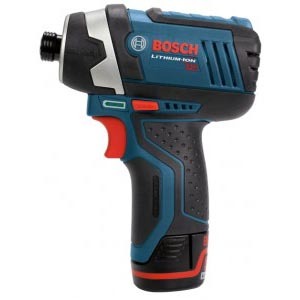 Here is the Bosch 25618-02 18-Volt Impact Driver designed and equipped wth a Hammer and Anvil System delivering 1500 in. lbs (125ft.lbs.) of impressive torque. Its compact design will enhance user maneuverability in tighter corners and spaces with the extended comfort with the spring-loaded impact mechanism that will reduce fatigue. We like the LED light that makes working in darker quarters much, much easier. Q – Are the battery and charger included? A – Yes, it does. 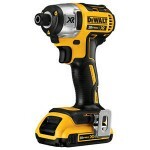 Here is the DEWALT 1/4 in. 20-Volt Cordless Impact Driver that delivers up to 1,400 in. lbs. of max torque and provides up to 2800 RPM and 3200 IPM for quick and proficient work in a wide range of fastening applications. We like the 3 LED lights with a 20-second delay after releasing the trigger to illuminate the darker workspaces. It is incredibly compact weighing 2.8 pounds with a body only 5-1/2 in. long. Q – Does the tool include a hard case? Q – Is it variable speed or are their speed settings on the tool? A – It’s a variable speed which is trigger controlled by the user. Q – Is it a really loud tool? I work in a shared space. A – Not loud but you will hear it turned on when drilling. Here is the Makita 18-volt XDT111 LXT Lithium-Ion Cordless Impact Driver that will demand authority at a job site delivering speed and power inside a compact body for a broad range of fastening and driving applications. You can expect less downtime and even more efficient operation with the 18-volt Lithium-Ion battery along with its compact size reducing user fatigue you can work ALL DAY long comfortably. We totally dig the Star Protection Computer Controls that exchanges the data in real time while monitoring conditions while in use to prevent over-discharging, overheating and overloading. Q – Is the tool a 1/2 drive or 1/4? Q – Are there driver bits included? A – No. Sold separately. Q – Can it remove lug nuts? A – Not enough power. Q – What’s the difference between the XDT042 and this model XDT111? A – The XDT042 has a 4-Pole motor with a variable speed of 0-2300 RPM and 0-3300 IPM with 1420 inch-pounds of max torque. The new design (XDT111) has the 4-pole motor with a variable speed of 0-2900 RM and 0-3500 IPM delivering 1460 in. lbs. of max torque. Here is the Ryobi 18-Volt ONE+ Lithium-Ion Impact Driver Kit for longer and faster fasteners delivering 1500 in. lbs of torque for the demanding tasks. It features a 1/4″ quick-connect coupler for quicker and easier bit changes. It comes in a cast aluminum gear housing for strength and durability. It delivers 20% more runtime with the lithium-ion battery while being 45% lighter than the P100 NiCd battery – less user fatigue without losing the power. We really like any ONE+ battery as it is compatible with all the blue and green ONE+ tools for enhanced versatility of your tool collection. Q – Does it include a charger? A – Yes, it comes with a small portable charger. Q – Does it have different speeds? A – It is a trigger controlled variable speed impact driver. Q – Can it be used to change a tire with I didn’t have my impact wrench on hand? A – No, it doesn’t have the power of a garage tool. 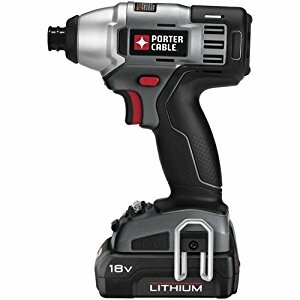 Here is the Porter-Cable PCCK640LB 20V 1/4-Inch Hex Lithium Ion Impact Driver Kit that is featuring an impact driver with a high torque motor using 20-volt Max Lithium-Ion batteries and 1.5-Amp cells for longer runtime in a compact body design. We like the easy load chuck that lets us insert a bit one-handed with a LED work light that is giving light over dark workspaces. Reduces user fatigue weighing in at only 3.2 pounds with a 6.2″ length body. Q – How many batteries are there? A – Two and includes the charger. Q – Does it have enough power to change a tire? A – No. It doesn’t have the power to remove and replace lug nuts you should look at impact wrenches. A – Yes, and it’s a good one, too! It can be removed if not needed. 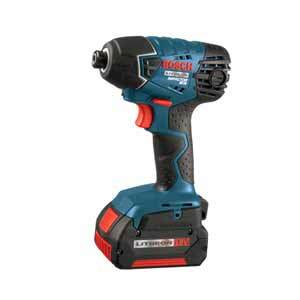 Here is the Bosch 12-Volt MAX impact driver that delivers a designed hammer and anvil system for producing 930 in. lbs. of torque while creating 2600 RPM and 3100 BPM with variable speed for more control. The variable speed trigger lets the user instantly adjust the speed quick for fast and secure applications. We dig the bumpers on the side of the tool to help keep it from slipping and protect the work surface. Shortest head length in the class of only 5.4 in. Lightweight at just 2 lbs. Q – How many Amps do the batteries have? 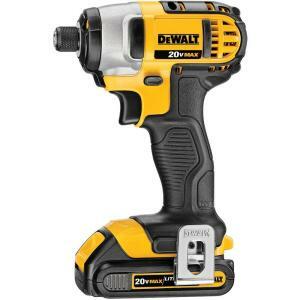 Q – Can this impact driver be used as a screwdriver? A – It can be used as a screwdriver but not for drilling. Q – Is the tool loud? A – It’s fairly quiet. You must have an Impact Driver that comes loaded with the right features and power you need that is durable and reliable. 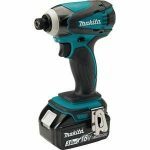 A battery powered impact driver is ideal, but there are many to choose from that’s why our buyer’s guide is available to assist you to find the best impact driver for the job. Let’s begin with knowing a bit more about Impact drivers (did you see what I did there? “Bit” more…?). Differences between drills and drivers: Drills can add consistent torque with terrific control over different settings and speeds, whereas impact drivers deliver a more powerful torque with extra linear force. Easy to handle: Impact drivers easier to handle without needing too much power to turn them on/off or during use. Without applying much force, you can provide proper torque. RPM: This stands for revolutions per minute and is the rotation force that is being delivered from the momentum of the strike and impact drivers deliver better RPM than regular drills. Heavy-Duty Approved: Impact drivers offer quick burst due to the linear force they apply which can handle tougher jobs. Quick Release Hex Chuck: Changing bits much easier so you can slide the outer ring then push it forward and drop the bit and slide and load it. LED Lights: Find an impact driver that includes a LED light if you primarily work in darker quarters. Know exactly what type of power source you’re looking to get because one is more powerful than the other but offers less portability, so depending on the jobs you have less more that allows you to maneuver around may be more suitable. Let’s take a look at some differences between cordless impact drivers and corded impact drivers. Cordless: Delivers flexibility and are more efficient. Has less power than corded and needs time for the battery to recharge even with a strong battery. Portability is the number one reason for operators to want a cordless impact driver. Heavier due to the battery. Corded: Offers much more power and speed but leaves the user with less maneuverability. Much more more lightweight. Both are fine tools to choose from it’s based on user preference and needs to figure out the best individual choice. Torque: Selecting the right torque is important as some can contain overwhelming torque so do find one that is powerful enough for driving short and long screws. One-handed: Look for the impact drivers that allow users the ability to do one-handed where it can balance the torque and RPM this way the user conserves more energy and reduces fatigue from pushing too hard. Noise Pollution: If you’re working in a shared workspace do try and find a quieter impact driver and if you don’t share a space and do get a loud tool then invest in some ear protectors to not harm your ears. Bare-tool: Some tools come as a bare-tool meaning you are getting only the body of the tool. You will need to buy the battery, charger, and any other accessories such as bits separately. If you want everything all inclusive get the impact driver kits. These usually include the battery (sometimes two batteries), charger, bits, and a convenient carrying soft/hard case.